0.7 hectare southeast of the village of Gigondas, in the limestone gravel on the southern hillsides of the Dentelles de Montmirail. 8% slope, the plains of Vaucluse under your feet! A de-budding in the spring, a production capped at 3,300 bottles, the prosperous years! The vines are 26 years old. 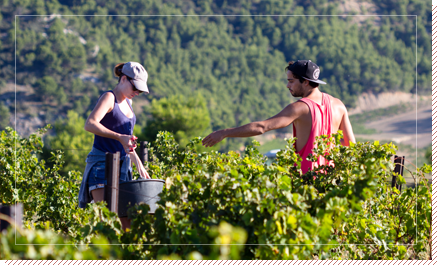 ✓ Grenache, the grape variety king of the slopes of the southern Rhone, is characterized by its resistance to drought and wind. 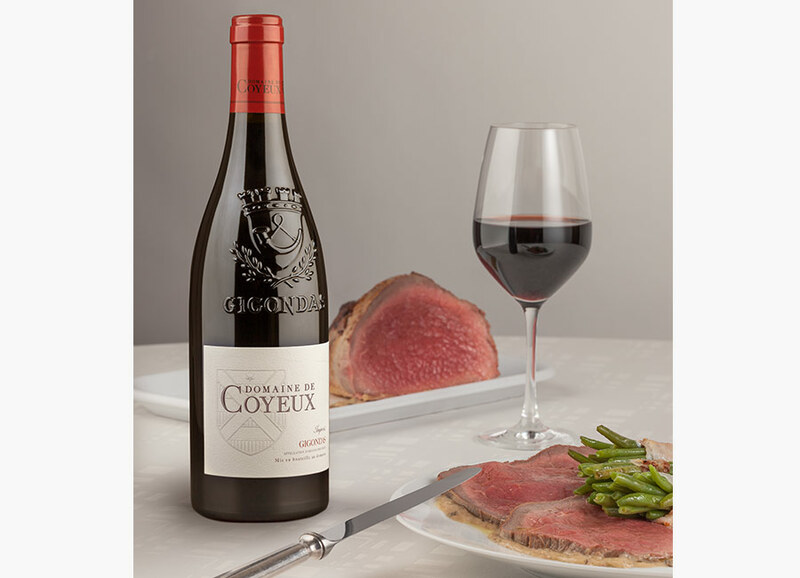 In our glasses its richness in phenolic compounds reveals the flavors of red fruits, licorice, and spices. ✓ Syrah, with a sustained purple color, its aromatic potential (small red and black fruits, peppermint, licorice, coffee) and its durability over time are treasures. 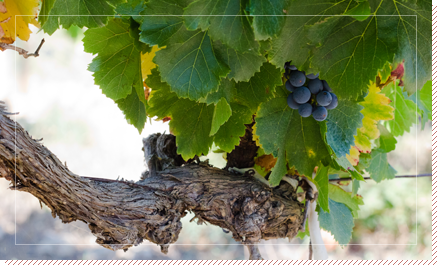 ✓ Mourvèdre requires a lot of heat and light. Its color, its antioxidant power, and its aromatic characteristics (black fruit, leather, and earthiness) are appreciated for the good development of the wines. The expression of the soil is our guide. ✓ It releases the color of the wines even more, in an “alcohol-free” environment. 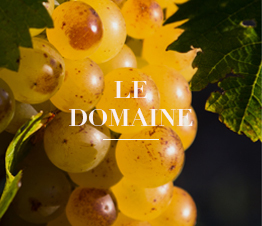 ✓ It avoids the extraction of unwanted tannins and preserves the fruity dimension of the wines. ✓ It allows the musts to reveal their aromas in all their intensity. The only active yeasts are those naturally present in grape. At the end of the wine-making process, the wine is stored in concrete wine-producing vats, whose characteristic is to be isolated from any stray electrical ground fields. The wine will be raised during a period ranging from 16 to 36 months. It will then be bottled and will be marketed only after several months after bottling. 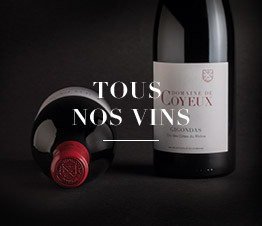 Ideally consumed at a temperature close to 17° C, the Vintage red Gigondas deserves to be opened two hours before its tasting. It is delicious with grilled or roasted meats. Not to mention black truffles, whose largest national market is located in Richerenches, only 35 km away.